A collection of questions from velocipedes to baffing spoons. 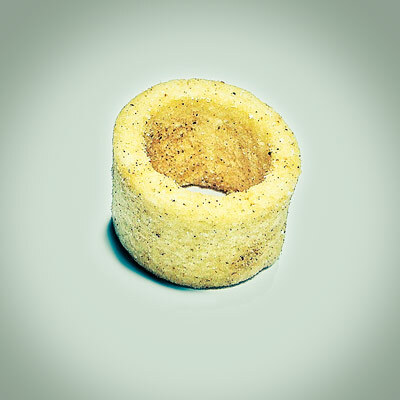 The Picture Round is name the Savoury Snacks and the Wild Card is a miss statistic about a botched lunar landing. Q05. A velocipede is an early form of what kind of transport? Q13. Who spent three weeks at the top of the UK album charts in 2004 with How to Dismantle an Atomic Bomb? Q23. In the early days of which sport could you have chosen to use a Baffing Spoon or Jigger? Q35. In which country did David Beckham travel Into the Unknown for a 2014 documentary? 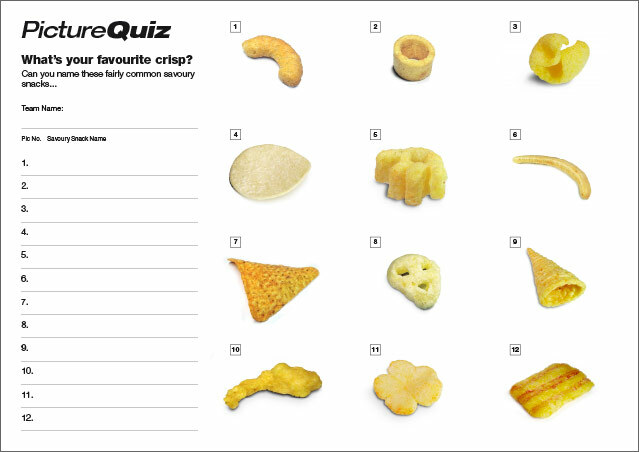 Quiz 93s Picture Round is can you recognise the Savoury Snacks from this selection of mouthwatering macro shots? Above is a low-res sample of the Quiz 093s Savoury Snacks Picture Round, click for a higher resolution version. The Picture Round download is a two page high quality PDF with the answers on page 2. Quiz 093s Wild Card Question is a statistic about a lunar landing that missed by more than a ‘tad’?